The TradeStation IRA offers benefits custom tailored to active traders and investors. Regardless of which type of account you choose – traditional IRA, Roth IRA, SEP IRA or SIMPLE IRA – TradeStation combines low trade commissions with all the tools you need to actively manage your retirement savings. An individual retirement account (IRA) is a way to save money for retirement with tax-free growth or on a tax-deferred basis. Opening an IRA may allow your retirement savings to grow and compound faster than in a standard brokerage account. An IRA may confer certain tax benefits relating to both contributions and distributions. Your IRA contributions will grow tax-deferred, with no taxes on capital gains or dividends. What are the pros and cons of an IRA vs. a 401(k) plan? You can contribute to both an IRA and an employer-sponsored savings plan, such as a 401(k). Investing in an IRA can help you supplement your savings in an employer-sponsored retirement plan, may offer a broader range of investment choices than your employer-sponsored plan and also offers the opportunity for tax-deferred or tax-free growth. Yes – there is no limit on the number of IRAs you can own. Maintaining multiple IRA accounts may offer certain benefits, such as the ability to diversify your retirement savings or channel certain portions of your savings to specific beneficiaries such as heirs or charities. What are the IRA contribution limits in 2019? The limit on annual contributions to an IRA increased to $6,000 for 2019, from $5,500. The additional catch-up contribution limit for individuals aged 50 remains $1,000. What types of IRA accounts does TradeStation offer? What is the difference between a traditional IRA vs. a Roth IRA? Contributions to a traditional IRA are tax-deductible in the year they are made, whereas with a Roth IRA withdrawals in retirement are not taxed. Thus, if you expect your tax rate to be higher in retirement, a Roth IRA and its delayed tax benefit may be the best choice; conversely, if you expect to pay a lower tax rate in retirement, a traditional IRA may be the best course. A simplified employee pension (SEP) IRA is a written arrangement where employers make contributions to traditional IRAs set up for employees, subject to certain percentage-of-pay and dollar limits, as well as federal laws. SEP IRA contributions are tax-deductible, and contributions grow tax-deferred until retirement, when distributions are taxed as income. SEP IRAs are best suited to self-employed people and small-business owners with few or no employees. A savings incentive match plan for employees (SIMPLE) IRA is a retirement plan that may be established by employers, including self-employed people. The employer is allowed a tax deduction for pre-tax contributions made to a SIMPLE IRA, which are tax-deferred until distribution. The employer makes either matching or non-elective contributions to each eligible employee’s SIMPLE IRA and employees may make salary deferral contributions. SIMPLE IRAs are considered best for larger businesses with up to 100 employees. We offer securities lending, interest sharing and other programs designed to generate extra income while cutting your trading costs. 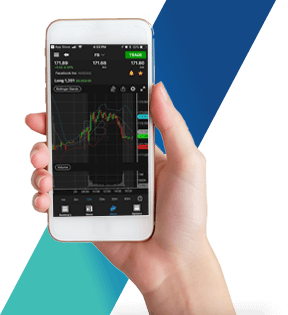 Whether in the office or at the beach, connect with the markets using TradeStation’s powerful array of desktop, web and mobile apps. 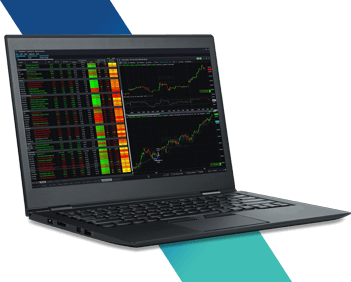 With our RadarScreen® scanner, trading opportunities have nowhere to hide – monitor and trade up to 1,000 symbols in real time. Wondering what symbol or sector to trade? 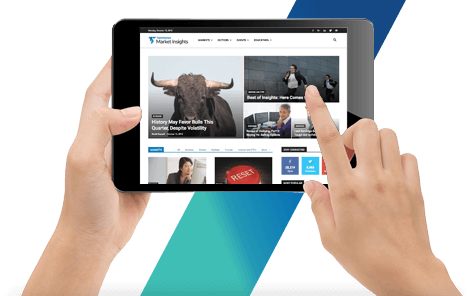 TradeStation’s Market Insights blog delivers fresh insights and actionable trade ideas every trading day. If you have additional questions about opening a TradeStation IRA, don’t hesitate to email our Client Services Department or by phone at 800.808.5709 or 954.652.7677. *Options trading is not suitable for all investors. Your account to trade options will be considered and approved or disapproved based on all relevant factors, including your trading experience. Automated trading, as it relates to direct-access electronic order placement and execution of equity options trades, requires manual one-click verification before an order is sent. Each leg of a multi-leg spread incurs a commission and bid/ask cost that can be significant. A monthly account service fee of $99.95 may apply. A $14.95 fee applies for options exercises or assignments. For early options exercises or assignments, a $1.50 per contract fee will apply, with a $5.95 minimum. There is an Options Regulatory Fee that varies by options exchange, where an options trade executes and whether the broker responsible for the trade is a member of a particular exchange. As a result, TradeStation calculates a blended rate that equals or slightly exceeds the amount it is required to remit to the options exchange. These costs will affect the profitability of all stock and options trades and should be considered prior to making any trade. Please visit TradeStation.com for relevant risk disclosures and a link to the document titled Characteristics and Risks of Standardized Options or call 1-888-OPTIONS to obtain a copy. Limited margin trading can be very risky and the decision to trade using limited margin is entirely yours. TradeStation has not solicited you to engage in limited margin trading and TradeStation is not responsible for determining whether you are suitable to engage in such trading. Limited margin trading is only allowed for the following retirement accounts: Traditional IRA, Rollover IRA, Roth IRA, SEP IRA and Simple IRA. Regulations do not permit you to have limited margin agreements on multiple IRAs of the same type. If you are considered a pattern day trader, you are required to maintain minimum equity of $25,000 and you acknowledge that you are not permitted to borrow funds, create a margin debit, sell short equities or sell naked options. You agree to maintain a sufficient cash balance in your IRA account to satisfy any and all obligations that may arise from your trading. Any such obligation could be deemed a taxable distribution and subject you to increased taxes. You further acknowledge that limited margin trading in your TradeStation account does not violate the terms and conditions of your agreements with TradeStation nor will any such trading constitute an ERISA-prohibited transaction. You agree to consult with your tax advisor in relation to your decision to engage in limited margin trading. Limited margin functionality will be disabled if you maintain another TradeStation account that is subject to a day trading restriction. TradeStation may close any positions in your IRA account without notice and disable the limited margin feature at any time without notice. **IRA accounts must be opened with a minimum initial deposit of $500 or more to qualify for this offer.1 There will be no monthly account service or exchange fees for the exchanges listed below for the life of the account.2 Qualified non-professionals who open an equities account will receive free real-time market data for the NASDAQ, AMEX, NYSE and OPRA exchanges. Real-time exchange fees, other than those for the ones listed, are not included in any fee waivers other than the ones listed in this offer, and you will be billed exchange fees for any real-time exchanges or premium services you choose to receive. $4.00 a trade is defined as the following: for equities, $4.00 commission per trade, no minimum; for options, $4.00 per trade + $0.30 per contract + $0.40 per contract for index options. For all orders greater than 10,000 shares, an additional $0.001 per share will be assessed for each executed share in excess of 10,000. Direct-routed equity orders will be charged an additional $0.004 per share. Direct routing options orders incur an additional fee of $0.50 per contract. No option cancellation fees apply. 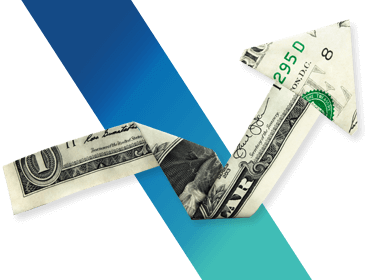 A $0.65 per contract unbundled commission plus applicable exchange and regulatory fees will apply for futures and futures options contracts traded. These fees cannot be applied towards mutual funds, bonds or private placements, or trades of any kind called into the TradeStation Trade Desk. No option cancellation fees apply. This offer and pricing only applies to the IRA account opened during the promotional time period. If the account opened under this offer is closed, the offer and pricing are no longer valid and a monthly account service fee may apply if you have any other accounts open. This offer does not apply to charges associated with overnight fees, exchange fees, regulatory fees, or other account fees and charges, including margin interest, if any. Your account will be considered and approved or disapproved based on all relevant factors, including your financial situation and trading experience. Prices, fees, costs and terms are subject to change. This offer cannot be combined with any other offers. Additional restrictions apply. TradeStation reserves the right to terminate this offer or change the terms and conditions at any time. Please consult a tax professional. The Company and its representatives do not provide “fiduciary” investment advice or recommendations to employee benefit plans, participants or beneficiaries under the Employee Retirement Income Security Act of 1974 (ERISA or the Act), or owners of individual retirement accounts (IRAs) under the Internal Revenue Code of 1986 (Code). Neither the Company, nor any of its associated persons, registered representatives, employees, or affiliates offer investment advice or recommendations. The Company may provide general information to potential and prospective customers for the purposes of making an informed investment decision on their own. The information provided is not intended to be investment advice, nor does it fall within the definition of investment advice or recommendations as defined by the Department of Labor’s fiduciary and best interest standards.